Anne Stokes imagines a world where dragons are real! The best known and most popular fantasy creature is the dragon, with worldwide accounts throughout history and appearances in countless fantasy stories and films. 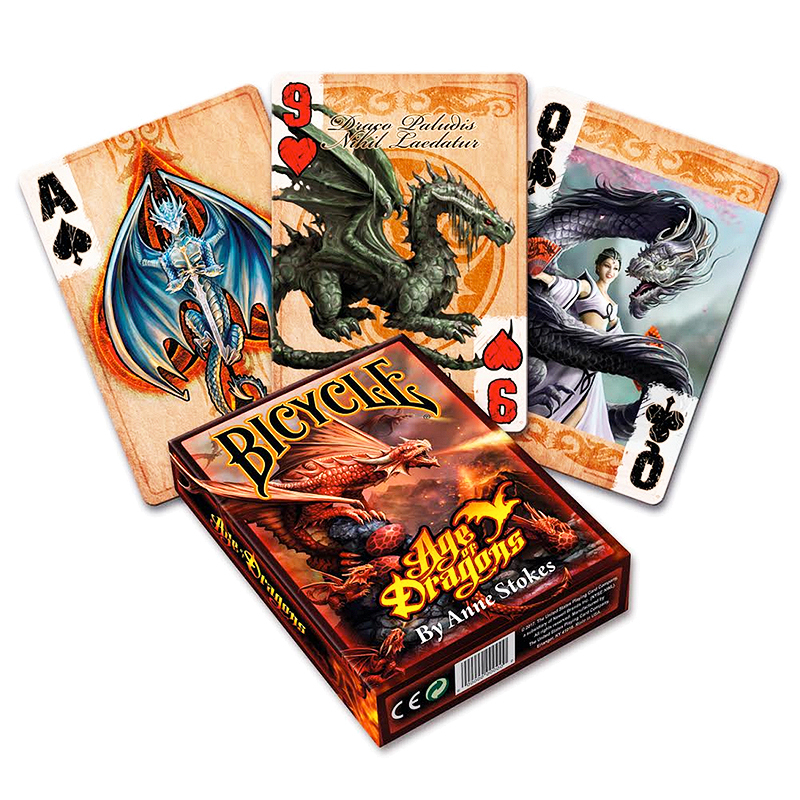 In her new deck Age of Dragons, she imagines a world where dragons are real. Like a naturalist cataloguing the various species of animals in our world, Age of Dragons brings together a collection of different dragon species with Latin names, their evolution, descriptions and of course lots of illustrations. • The cards are poker size and of the usual Bicycle quality. Αυτό το προϊόν προστέθηκε στον κατάλογό μας την Thursday 02 November, 2017.